The World's Dirtiest PC Contest Week 2 Winner - It's a Tie! The World’s Dirtiest PC Contest Week 2 Winner – It’s a Tie! After another week that saw a slew of thoroughly despicable entries, the Logic Supply awards committee had quite a challenge in choosing a winner in the second week of our World’s Dirtiest PC Contest, so much so that we couldn’t pick just one. This week we’ll be sending out a pair of prize packs to two very deserving entries. This week’s Wednesday Winners are submitter Filsmyth for his shot of this dusty-bunny-laden motherboard, and Ric Miller for his debris-caked food processing PC. Ric made quite an impression on Reddit when he posted a picture of this unfortunate piece of hardware to popular subreddit /r/techsupportgore. The post received more than 2650 upvotes and nearly 300 comments from fascinated/concerned IT enthusiasts. Ric, an IT Helpdesk Analyst at Newly Weds Foods in the UK, even took the time to post an awe inspiring video of the cleaning process. Ric is currently investigating options to help his company #GoFanless. Ironically, though he wasn’t aware of it when he submitted his entry to the contest, we’ve worked with Ric’s company Newly Weds Foods at their Cleveland, Tennessee plant to update the hardware on their production line. We even created a case study highlighting their transition to fanless computing. It truly is a small world! Congratulations to both of our weekly winners. 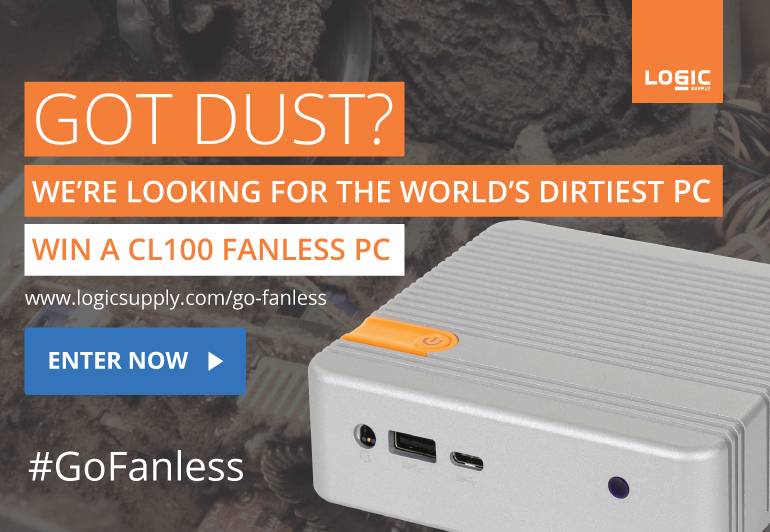 Be sure to visit the #GoFanless Gallery to vote for your favorite entry once a day until August 10th when we’ll award the grand prize of a CL100 Mini PC. And if you have a dirty or dusty computer at home or at work, be sure to upload a picture for your chance to win. 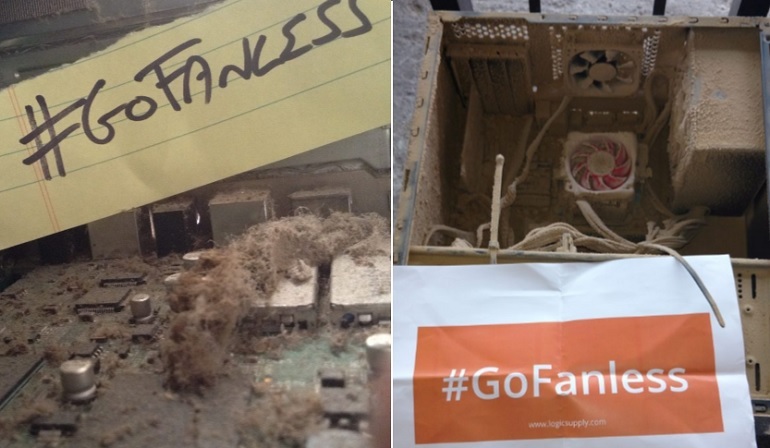 Until next week, compute responsibly and #GoFanless!